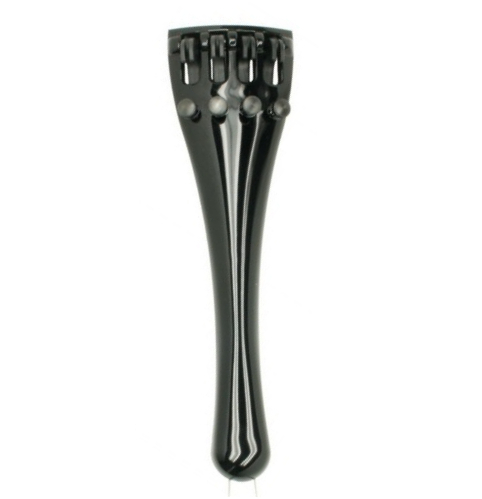 The Akusticus is the most popular plastic tailpiece, as it is light and short enough to suit most cellos – and is also inexpensive. Akusticus tailpieces are made with integral finetuners. Comes with a steel tailcord. A suggestion: : Combine the Akusticus tailpiece with a Bois d'Harmonie tailcord... sounds much more free!